Image created by VoE Team: Images all extracted from Dictonary of Scottish Architects website. Motivated by a lack of experiential (hi)stories of architectural practice, and with ambition to steward disciplinary stories, the Voices of Experience project constructs a series of conversations between a highly experienced architect and a professional at the outset of their career. The project is starting to build an audio archive around working in late twentieth century Scotland with Glasgow Women’s Library, UK. The Dictionary of Scottish Architects (1840-1980) is currently the main dedicated historical source. Under 5% of entries are on women, often fleeting, inconclusive and anecdotal. These are the only images of women on the entire database. To augment these and other records through oral documentation, the VoE project aims to deepen and extend methodological exploration of the archive of architecture, through the listening, editing and presenting of site-based conversations as audio archive, transcript and public conversation, offering a hybrid mode for researching and communicating the practice-based and relational knowledge of architecture. Over this week we will be exploring more about each of these inspiring women. 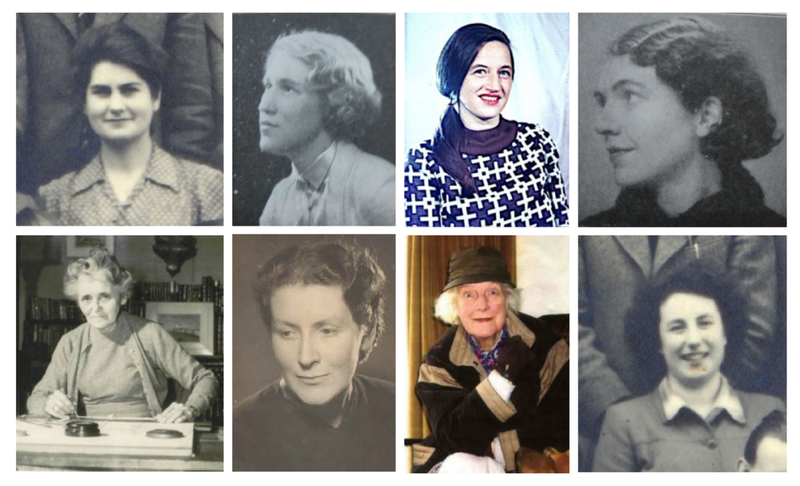 Please bring forward any photos you have of any of the DSA Scottish women architects- DSA do invite people to add to/ correct the archive, which we can do too! Edith Burnett Hughes, Dates t.b.c. Edith (Edma) Burnet was born at 6 West Circus Place, Edinburgh, on 7 July 1888. She was the daughter of George Wardlaw Burnet, advocate, and Mary Crudelius, grand-daughter of John Burnet Senior and niece of Sir John Burnet. She was brought up in Aberdeen where her father had been appointed Sheriff-substitute for the Counties Aberdeen, Kincardine and Banff. He died in 1901 as a result of a cycling mishap and his family was cared for by John James Burnet as their only surviving uncle. Edith left school in December 1906 and went to Paris to attend lectures at the Sorbonne and study art and architecture. From there she went to Dresden to study German and Art in October 1909, and spent some time with John James and Jean Burnet, whom she arranged to meet in Leipzig. In September 1911 she moved on to Florence to study Italian and Art, extending her studies to Perugia, Siena and Assisi in 1912.